Even if you don't know basketball, it's highly likely that you know who Michael Jordan is. It's a little less likely that you know Scottie Pippen. Both played for the Chicago Bulls in the 90s or something. Well, he is now hanging out with Charles Barkley in a Footlocker ad about not dwelling on the past. 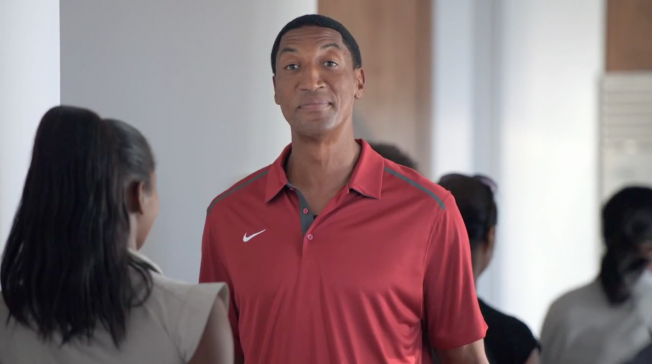 Scottie Pippen claims to be the greatest basketball player of all time in the spot. Get it? It's funny because he played on the same team as Michael Jordan. Now do you get it? Oh, sports people.